Infinix Hot S3 Pro is the upgraded version of the Hot S3 smartphone from Infinix Mobility. The Hot S3 Pro dishes out a bezel-less full view display just like its little brother, with other similar features as well. 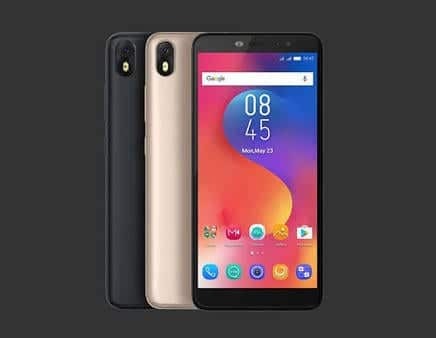 The company is known for producing Pro versions of their high-level smartphones and Lite versions for their budget smartphones. So, it’s no surprise the Hot S3 Pro officially made its debut. Lets see what it has to offer. 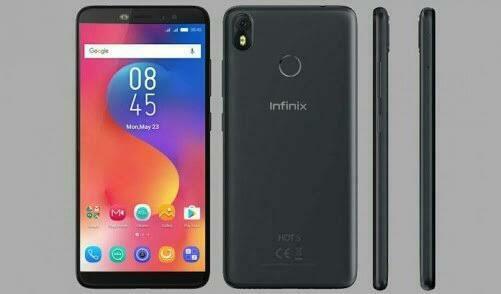 What is Infinix Hot S3 Pro Price and Availability Status? Still ships with the same neatly polished removable Plastic body, even though the battery isn’t. Flowing with current trend, the device comes with trendy alignment of the rear camera and LED flash in a vertical position. There’s a fingerprint scanner in the usual position for quick access to the device anytime. Turning over to the side, it measures 8.4mm in thickness and weighs just 150g, which is impressively light for a devicr housing a massive battery. The Hot S3 Pro and its brother still holds the crown as the first Infinix smartphone with the full view display. The phone has super minimal top and bottom bezels, while the narrow bezels are almost invisible. The front LED flash is now a trend in the Infinix, Tecno and iTel family. The same 5.65-inch HD+ IPS LCD capacitive touchscreen is in charge of display here. The 720 × 1440 pixels in resolution lets you watch movies and play games in extreme clarity. The bezel-less display on the Infinix Hot S3 Pro got up to 76.5% screen to body ratio as well. Running the race here is the Snapdragon 430 chip from Qualcomm with an octa-core processor and 64-bit CPU architecture. Disappointingly, the 8-cores of processor could only reach a speed of 1.4GHz with 28nm process technology for fast performance. The Adreno 506 graphics processor from Qualcomm handles graphics. Equipped with a bigger 4GB of RAM for all your multitasking needs, from heavy games to demanding apps. In terms of storage, a bigger 64GB storage space is available as well. You can always upgrade up to 256GB as well using a memory card. The Infinix Hot S3 Pro runs on Android 8.0 Oreo operating system with XOS 3.0 Hummingbird skin. The 13MP rear camera with f/2.0 aperture paired with a dual-LED flash captures stunning photographs. The camera comes with lots of stunning features that can be used to enhance your photography prowess. Videos of 1080 pixels are recorded at 30fps, while the 20MP selfie camera is perfect for selfies and video calls. At night, the front LED flash can be used to brighten your selfies as well. Powering the Infinix Hot S3 Pro is a 4000mAh non-removable Li-Ion battery with fast charging technology. With the fast charging feature, it shouldn’t take up to 2.1 hours to fully charge up the battery from 0% to 100%. The Infinix Hot S3 Pro is available on Shopping stores from $199 (N65,000) to $249 (N85,000). Click on the links above to view the latest Infinix Hot S3 Pro price & availability on Shopping stores.